I have several photos of myself as a young child posing with the gigantic signature teddy bear from Funtastic Nathan’s. Thirty years later, the name and location has changed a few times, but the family fun remains the same. Lollipop Park has a new home inside the Family Sports Complex in Centennial – a convenient location with a lot of great food & activities for the whole family. We visited with my two sons (ages 3 and 8) and really appreciated the flexibility of the unlimited wristbands. 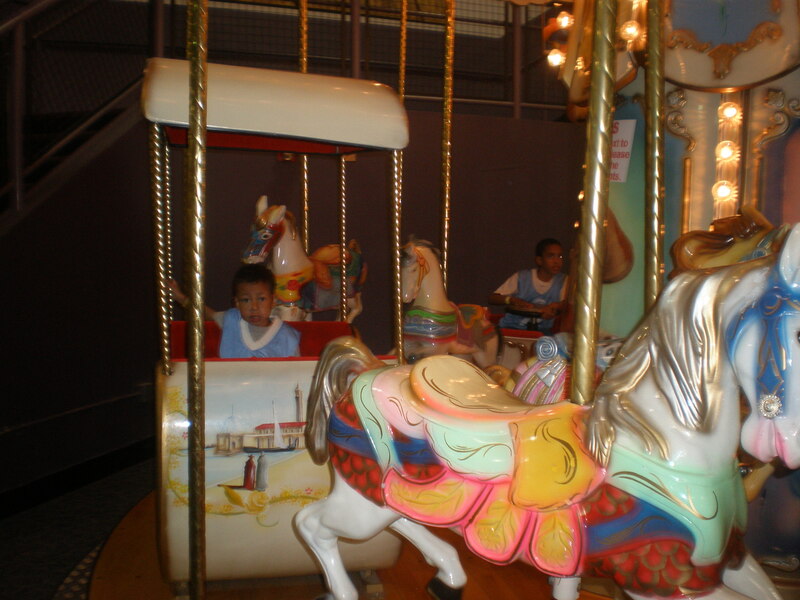 Parents are always FREE and children are able to enjoy the rides (including a horse carousel, ferris wheel, train, tea cups, swing and whip ride) as many times as they want. There are also 2 bouncy houses, fun mirrors and one of those cool spinning coin donation containers. 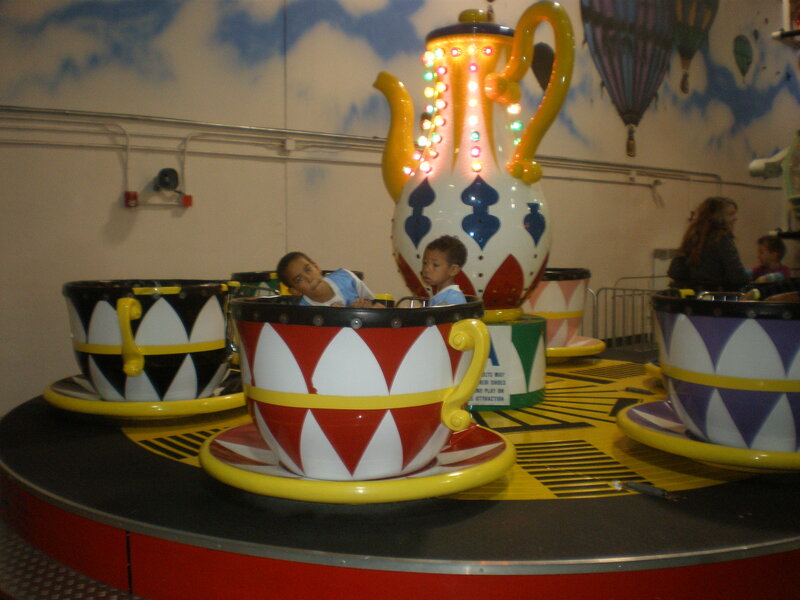 The attractions are all close together so parents can relax in the fancy massager chairs and keep an eye on the kiddos at the same time. There is a large birthday party area and the ticket counter has a wonderful assortment of lollipops of all sizes for purchase. There is a large snack bar and Avalanche Grill restaurant inside the Sports Center, so you can leave Lollipop Park to grab a bite to eat or check out any of the other Family Sports activities, including ice skating, laser tag and arcade games (all of which are priced separately and are not included in the Lollipop Park wristband). It was very nice to be able to play for awhile then go eat (refuel!) and come back again for some more fun (my kids spent at least 30 minutes in the bouncy houses alone). 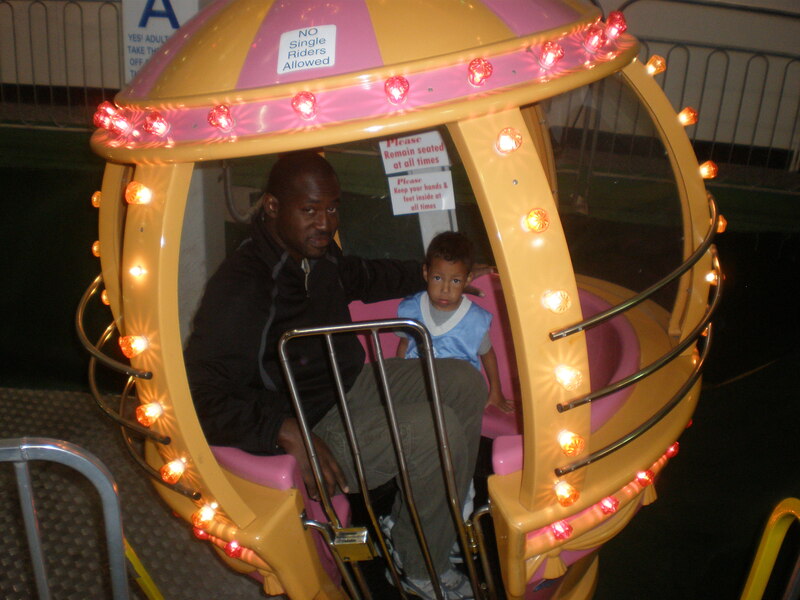 The staff was very friendly and all the ride operators were very efficient and safety-conscious. 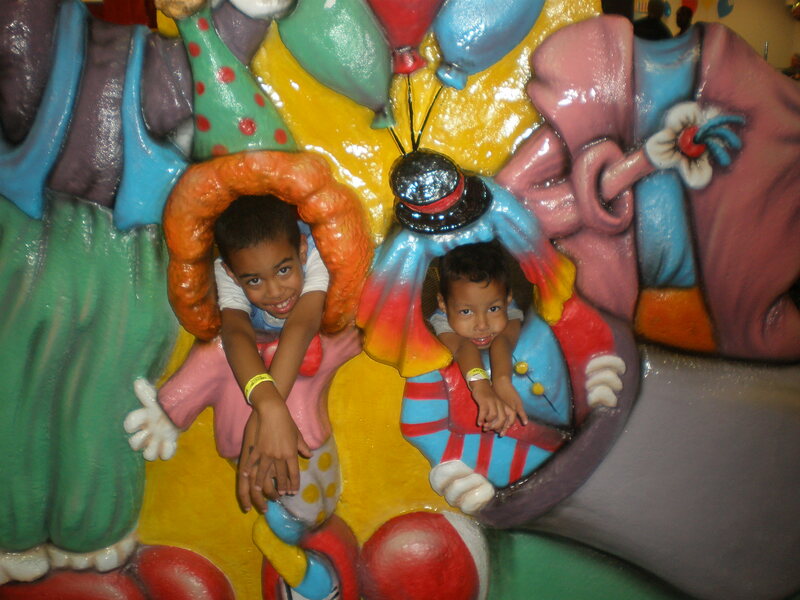 There are several rides where adults can play too, but I would say that overall, Lollipop Park would be most enjoyable for kids under the age of 10. We are planning on having a preschool playdate at Lollipop Park over the holiday break next month.